ILKLEY school children have visited the Parish Council chambers in the Town Hall at the invitation of Ilkley Parish Council chairman Councillor Brian Mann to learn about the democratic process and civic duties of the council. Children from five local schools took part: All Saints’ Primary School, Burley & Woodhead Primary School, Burley Oaks Primary School, Addingham Primary School and Ben Rhydding Primary School. The visit followed the successful School Council Convention hosted at All Saints’ Primary School in July. The children, all school councillors, were able to sit in the debating chamber and engage in discussions on matters of local relevance. Mr Chris Whitehead, of All Saints’ Primary school said: “Giving children first-hand opportunities such as this makes learning invaluable. The collaboration between local schools and Councillor Mann has provided children with a platform to further develop their own roles and responsibilities. Promoting pupil voice will become an increasingly significant aspect of the school council’s role, especially in relation to the wider-world context. We recognise the significance of putting new skills into practice, something that we hope to continue through our shared work. Year 3 & 4 school councillors were invited to the Ilkley Parish Council chambers by Councillor Mann on Tuesday 17th January 2017 as a result of the collaborative work that we have undertaken with other schools in the Wharfe Valley and organised by All Saints’ Primary School. It was a great opportunity for the councillors to understand the democratic processes and civic duties carried out by the council. The school council organised a range of fun activities today for the whole school. 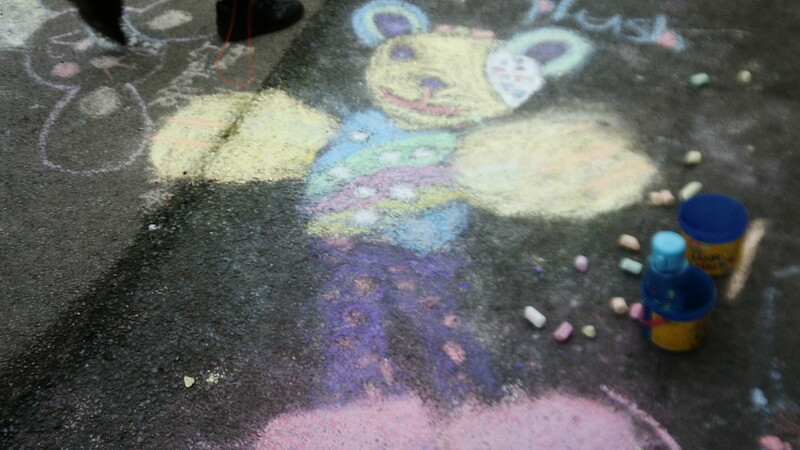 In addition to our usual spotty bun sale, we held a spotty chalk drawing competition in the school playground. The school council were on hand to take photos of the day’s events. Please check out the winning drawing on slideshow above. Thank you to all those who took part in the day! School Council organised the event to further strengthen the collaboration between schools in the Wharfe Valley and to raise the profile of pupil voice. Pupil voice encourages leadership and enterprise, as well as encouraging pupils to take ownership of their own school. The schools that attended the inaugural event were: Burley Oaks Primary School, Burley Woodhead Primary School and All Saints’ Primary School. Each school delivered a presentation, sharing ideas and good practice; Burley Oaks school council explained how they had implemented a healthy eating initiative, All Saints’ discussed their success with the school talent competition and Burley Woodhead shared their ‘run a mile a day’ initiative. The school Council has decided that Jessica’s photograph of the River Wharfe represents ‘inspiration’. The winning photograph is now displayed as the desktop on all the computers in school. Congratulations to Jessica. The school council have been very busy organising the All Saints’ School Got Talent show which has taken place this week. The show has taken place each lunchtime by children from all year groups within school. The school council have judged the entries and will be announcing a winner later this week. Thank you to everybody who has participated in the event. In addition, the school council have prepared and presented their assembly on Fairtrade this week, highlighting the need for all of us to be conscious of our purchasing habits when it comes to these products. The school council are currently in the process of collecting entries for their photo competition which will be judged in the summer term. Please check back here for updates! The School Council organised our school’s charity activities for Children in Need 2015. Every pupil had the opportunity to participate in our very own school competition called ‘Design a Bake’. The winning cake designs for each class were then decorated in school and sold on Children in Need day. Cakes were judged by ourselves (the school council) and one overall winner was selected by Mrs Robinson. Congratulation to 2H, 4B and 6T for being phase winners, and an extra special congratulations to 4B for being the overall winner. Thank you to all those who supported this year’s charity events in school, it was a great day and we hope you had as much fun as we did.